This post will reveal some, perhaps unfavorable, personal traits of me. When I was a child I remembered far more dreams than I do as an adult. Occasionally I’ll remember the last dream of the night or one where I woke up during the dream and was able to make a written or visual or mental note about it so that in the morning I was able to recall the dream. Now I recall a dream from last night. In the dream I was the person responsible for a group of people. We were in a fancy large hotel. My immediate responsibility was to get these twelve people from the hotel to their transport to some morning event. Soon the twelve had all arrived so I began to lead them to where I thought the taxi stand for the hotel existed. I knew where it was because I had, in the dream, stayed in this hotel at a prior conference (the memory of this was present to me in the dream but it was not part of a prior dream or reality that I am aware of). Out of the hotel we wander and I soon realize that there are no taxis in front so I lead the group down the circular drive to the highway where I try to flag down a set of taxis. But there are none. Then one comes but the driver appears busy and does not even look my way. Suddenly I have an aide and she suggests I call the taxi service with whom I made arrangements. Brilliant! My dream-memory said that I had made arrangements. I pulled out my iPhone and in its ‘recent calls’ list I found the number. The driver answered the call and wanted to know where we were! I asked him where he was and he said he had a 12-person van in the taxi stand behind the hotel. I realized at that moment that in leading the group to the front I was using old data. I apologized to the driver and said “we’d be right there.” Prior to this, the group had paid no attention to me. They were chatting profusely among themselves and treating me as a mere lower class tour guide. Now they began to complain about my incompetence as I led them back into the hotel’s front entrance. I would need to find a stairway to go down one level and walk the entire depth of the hotel’s ground floor to reach the rear entrance. That’s when I noticed a clear overhead sign that stated the taxi stand was now in the rear. Some in my group also noticed and increased their condemnation of my capabilities. At this point, I woke up. It was 5 am and sunrise was just beginning. This dream helped me to realize that when traveling and within crowds, I become inwardly tense. In this state I become less observant and less tolerant. I sometimes go into auto-pilot and rely on doing things the way they’ve always been done. But with the spiritual world, things change, evolve. The way to the taxi stand to be transported with my 12 beings was no longer where it was in my previous ‘incarnation.’ The way there is now first inwardly, first into myself to find how I am a microcosm of the macrocosm. These twelve are me as a microcosm. When I try to take care of them out of old knowledge, they ignore me. But as I get my directions aligned, I’ll receive their ‘guidance,’ as difficult as it might be to hear. For to reach the taxi stand and the transport, I will need to sacrifice this old lower self, these old habits, and this materialistic thinking. Scourging is part of the western spiritual journey. Now I’m trying to read the signs of our times and find that taxi stand behind the hotel [my body] with a van for twelve. I think there is much more to this question than a mere yes or no. This may sound like “what is the meaning of life?” Well, in fact, it is related to that question, why are we here? What is the purpose of humanity? What’s the end goal? Science today would have us believe that first came matter as atoms, then bigger atoms and molecules, then building blocks, then life, then consciousness. Many philosophers and scientists today have come to a different conclusion, namely that consciousness is primary. From consciousness came life and from life matter. This does not violate the fossil record. As Life evolved, it was necessary to shed aspects to continue towards an upright human being. Life evolved shedding or precipitating out the mineral kingdom, the plant kingdom, and the animal kingdom. Finally an upright human being could evolve on earth. The gods (a hierarchy of spiritual beings) prepared the earth and guided Mankind. Gradually they pulled back to where the human no longer walked with gods, no longer talked with gods, no longer found them in dreams or meditations, and eventually no longer found Nature a manifestation of the divine. God deemed this destiny so that human beings would develop towards a goal. What is that goal? To become spiritual (divine) beings of love and freedom. Each of the existing hierarchy are already spiritual beings of something – their name is what they represent. For example, Dynamis mean spirits of movement. To become spiritual beings of love and freedom, that is a far distant goal of course. Through inner development, one can improve one’s character, one’s moral fortitude. And one can also open soul organs through which one can perceive the spiritual world. The High Priests of old were such people. The Cathars of the twelfth to fourteenth century called such people Perfects as they had been perfected. Such terminology shows up in many early Christian writings. As in Buddhism, it is possible for such a perfected one to no longer incarnate. But typically in Christian streams, such perfects actually seek to incarnate more frequently to be of greater service on earth to their fellow humans. Who were the sons of God spoken of in Genesis 6.2 and 6.4? In Anthroposophy, we might see ourselves as moved by responsibility to Michael and the spiritual world that tries to carry out God’s will. We might feel called to do service but to perform this service we must set aside time in our day to work on our inner life – with the goal of opening these organs of spiritual perception so that we may work out of the truth and goodness that flows from Michael, from the Christ impulse, in ways that are appropriate today. So we do not see ourselves as God or gods, but as servants to such. We do not see ourselves as privileged but as earnest and responsible. The meaning of life? The end goal? Mankind is to become the Tenth Hierarchy. There will be other beings after us who will be at the human stage and we who are human now will be their angels just as those that are angels now were at a human stage in times long, long ago. Perhaps the end goal is to build out Twelve Hierarchies eventually? What is mysticism? Simply put, mysticism is the practice or pursuit of a path to the spirit. The term “Mystery” derives from the Greek word “mysterion” (plural mysteria μυστήρια) which means the practice of an experience of a reality surpassing normal human understanding, a spiritual reality perceived as essential to the nature of life. It is implied that the knowledge of a mystery was secret. What happened in a Mystery Center? One initiated into an ancient Mystery School had to pledge, on their life, never to reveal outside the Mystery Center its rituals or its secrets. An individual who taught at a Mystery School was a mystes, “one who has been initiated”. Each Mystery Center contained a school in which selected students studied and practiced meditation. Eventually a student would be deemed ready for initiation. This happened within the Holy of the Holies, deep within the local religion’s temple. The high priest or hierophant placed the prepared student into a near-death like state. To any uninitiated observer, the student was dead. For three and a third days, the student’s body lay as dead within the Holy of the Holies. Now free of the physical body, the student could experience and explore the spiritual world with the guidance of the hierophant. After the three days, the hierophant would call the student back to his body. The experience was so profound, the newly initiated mystic could no longer go by his or her old name. They had become born again, a new person. For them, their old self had died. Typically their new name came from their experience in the spiritual world. We find this taking on a new name after initiation occurring in all cultures everywhere in the ancient world. Remnants of this continue into our times when, for example, a cardinal is promoted to become the new pope. When did mysticism arise? No one can adequately answer this question with historical documents because there was only an oral tradition for many centuries. Plato spoke of a time long ago where the center of culture was in Atlantis. Here it may be where the mysteries arose. A water catastrophe is said to have brought an end to the Atlantean Age – perhaps this is recorded in the Bible as the Flood. Noah and his seven sons rode out the flood in an ark. When their ark landed, the world had greatly changed – the first rainbow was experienced. Rudolf Steiner, through his reading of the Akashic Record (Book of Life in the Bible), has shown that Noah and his sons came to live and restart civilization in India where they were known as Manu and the seven Holy Rishiis. The Atlantean mystery wisdom went with them. Since that time, one stream of civilization has steadily marched westward through Persia, Babylonia, Egypt, Greece, Rome, Europe to America perhaps in search of Atlantis. Each wave of civilization achieved something for the advancement of humanity. It is said the mysteries helped prepare humanity for each cultural wave. While a Mystery existed within a local religion, an individual could be initiated into several mysteries at the same time. While each local religion had public rituals in which participation was expected (perhaps mandatory) of every member of society, an initiate could wander the world to experience mystery initiation into other mysteries. When did mysticism die out? All teachings were by word-of-mouth. Nothing was written down until Aristotle sent Alexander out to establish Alexandrias (new cities with large learning libraries) throughout the known world in the 4th century BCE. Aristotle knew that the ancient mysteries were fading away. They could no longer fulfill their mission because crossing the threshold to the spiritual world became increasingly difficult. 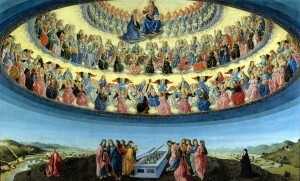 Taking the place of the mysteries was the evolving intellectual capability of each person. In ancient times, one experienced the gods active in Nature. One might experience the Muse inspiring their poetry or an arch-angel streaming thoughts into their head. Now, the spiritual world had withdrawn so far that initiations within the mystery centers were no longer successful. The level of higher consciousness that could be attained was falling. When the Mysteries faded away during the 4th century, the most popular ones were the Greek Mysteries. So we know these best. The Greek mystery schools include the Eleusinian, the Dionysian, the Orphic Mysteries, and many others. In addition, other mysteries in other geographies persisted up until the time of Christ including the Egyptian Isis, Persian Mithraic, Thracian/Phrygian Sabazius, and Phrygian Cybele. Does mysticism relate to Christianity? When Christianity arrived, the Mystery Centers were still prevalent, beloved, but fading away. Early Christians believed that Christ was a God who entered at baptism into the body of Jesus and therein remained for three years. The Mystery of Christ is that a God became a human, thereby giving humanity a path forward. A path not back to the divine, but forward to become divine. Early Christians believed that Christ-Jesus was the fulfillment of the ancient mysteries. They felt that now, the ancient mysteries could indeed fade away as the new mysteries, exemplified by the initiation of Saul on the road to Damascus (note, Saul changes his name to Paul after his initiation) had begun. Aspects of a local religion carried out by its respected high priests, for example presiding over sacrifices, ritual meals, ritual purifications, and initiations in secrecy, became totally changed by Christianity. This lead to the early persecution of Christians because the Roman establishment saw Christianity as subversive to its prevailing traditions and to its respected mysteries. When Christianity successfully took root in a locale, it typically was because their initiates went to the local mystery center and discussed with its initiates how their expectations, the fulfillment of their mysteries had been accomplished in Christ-Jesus. With twelve apostles (eleven disciples plus Paul), early Christianity had (at least) twelve personalities. As the apostles journeyed out into the world, their brand of Christianity took root in different locations. As Christianity was accepted at a given locale and by its mystery center, it took on the characteristics of the local mystery traditions. Out of these traditions arose great second and third generation Christians. Arius developed a huge following that included the Germanic tribes (the German name “ICH” – “I” in English – was created for them by the Initiate Ulfinas who used the letters Jesus-Christ to form this new German word!). Nestorius brought Christianity eastward all the way to China with missionaries as far as Japan. 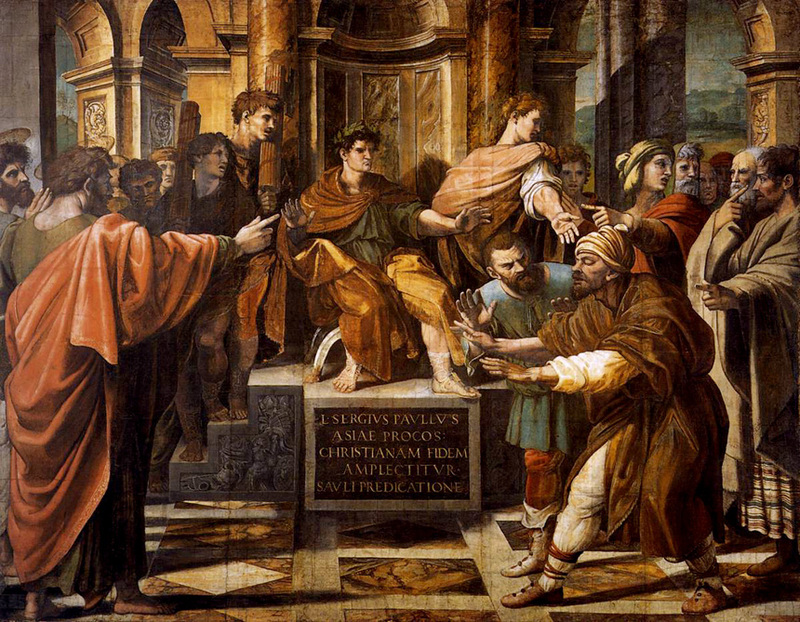 When Constantine, whose mother was already a Christian, allowed for Christianity to become the state religion, he wanted all these different feuding Christian sects to agree on one Christianity. This noble goal for religious peace through a universal, a Catholic, Christianity resulted in the Nicene Creed. What Constantine did not expect is that later enforcement of this creed resulted in the persecution, torture, and death of millions of mystery-loving Christians by Christians. Are the Mysteries dead? Nothing with spirit really dies. After Constantine, and after his son, arose Julian as Emperor. Julian had been raised as an Arian Christian but he had witnessed Christians killing his own family for power. In 337 AD when Constantine died, Julian’s cousin, Constantius II, in order to consolidate his position as emperor, massacred most of Julian’s close relatives leaving only Constantius and his brothers Constantine II and Constans I, and their cousins, Julian and Gallus (Julian’s half-brother), as the surviving males related to Emperor Constantine. Julian received an excellent education learning theurgy and Neo-Platonism from Maximus of Ephesus. Ephesus is where the Temple of Artemis was burned in 356 BC (same day as Alexander’s birth) by Herostratus who sought fame. Ephesus is also where St. Paul lived and was imprisoned from 52–54 AD and where John the Evangelist lived and wrote circa 90-100 AD. In 354, Julian wrote a treatise Against the Galileans where he states, Christians were fanatics and cheerfully massacred heretics. By contrast the Greeks were mild and forbearing; they were superior in wisdom and intelligence. Christianity has achieved little or nothing in the fields of science, astronomy, arithmetic and music. The achievements of Plato, Socrates, Aristides, Thales, Lycurgus, Agesilaus and Archedemus, the Sibyls, the Delphic Oracle and the pagan Mysteries surpassed anything that Christianity has to offer. “On 4 February 362, Julian promulgated an edict to guarantee freedom of religion. This edict proclaimed that all the religions were equal before the law, and that the Roman Empire had to return to its original religious eclecticism, according to which the Roman state did not impose any religion on its provinces. 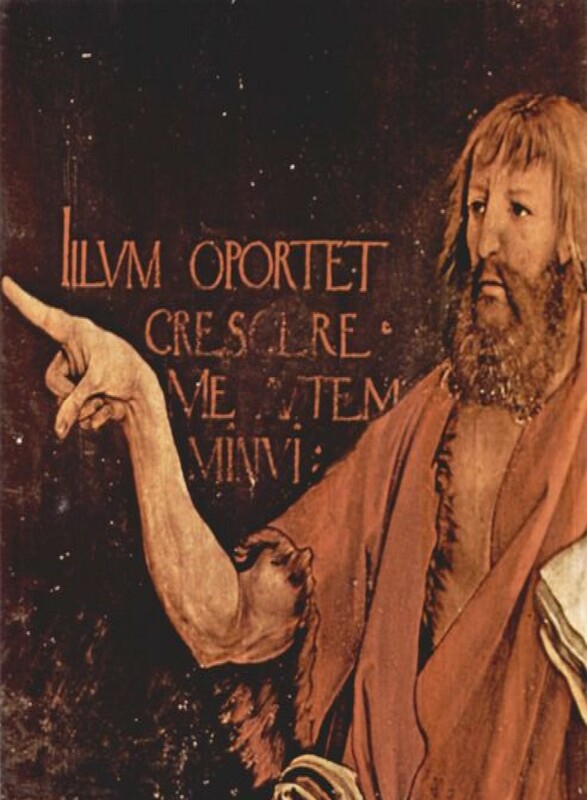 “In his Tolerance Edict of 362, Julian decreed the reopening of pagan temples, the restitution of confiscated temple properties, and the return from exile of dissident Christian bishops. During Julian’s brief reign from 361-363 CE, his popularity among the people and the army indicated that he might have brought paganism back to the fore of Roman public and private life [keep this point in mind]. On 26 June 363, at the indecisive Battle of Samarra in Persia, Julian was stabbed by a spear. In 364, Libanius stated that Julian was assassinated by a Christian who was one of his own soldiers.” Rudolf Steiner states that “Julian was brought face to face with the deeper implications of the problem of evil and the relation of Christ Jesus to this problem. He hoped to find an answer through initiation into the Persian Mysteries [Mithraic and Zarathustrian] and to return to Europe with the solution. But unfortunately he fell by an assassin’s hand during the Persian campaign. It can be proved historically that this was the work of an adherent of Constantine. … In the following years the Augustinian principle [of blind faith in the Authority of the Church] triumphed – ideas that in any way echoed Manichaeism [a Christian sect founded by Mani] were forbidden, i.e. the inclusion of material ideas into spiritual thinking. The West therefore was driving to an abstract mode of thinking and in the course of time this mode of thinking permeated the whole of Western Europe. A few years following Julian came Emperor Theodosius from 379 to 395 who set to work to totally destroy the remaining mystery centers and all pagan learning centers within Roman rule believing that the old mysteries worked against Christianity. From this time through Emperor Justinian ‘s reign 527 to 565, soldiers and mobs destroyed books, centers, shrines, and the “pagan” people associated. To survive, the Mysteries went underground only to surface from time to time in non-violent Christian groups such as the Bogomils, the Cathars, and the Knights Templar. The Mysteries Today. 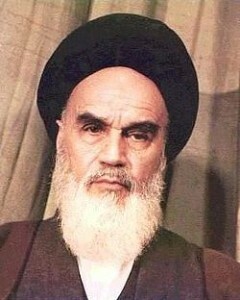 In 1979, the Ayatollah Khomeini called America the Great Satan. Perhaps in his spiritual insights he could see America’s destiny with the Prince of Darkness. America was founded as a Holy Experiment largely by Freemasons but also by other mystical groups. Here, with peoples from all over the world, a land was prepared for the future incarnation of the Prince of Darkness, called Ahriman in Persian lore. One can bemoan such a burden, but it is with great wisdom that such a place could be so prepared that it would be capable of confronting such a powerful spiritual being. America is deemed worthy to take on such a difficult task for she is wrest something from this being that will be important for the further development of Mankind. The new mysteries are working towards such a noble goal. Conclusion. 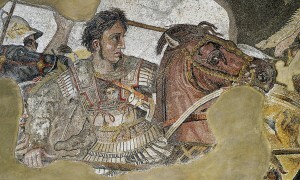 The Mysteries, as we saw, were fading at the time of Alexander. 666 years later, under severe persecution, they went underground . They spring up from century to century in various groups who try to demonstrate the true life of a Christian. Such groups sacrifice themselves for the future. The Cathars were brutally extinguished but their treasure survived, the child who would become Christian Rosenkruetz, founder of the Rosicrucians. These all point back to the greatest mystery of all, namely the Mystery of Golgotha when a God experienced Death and thus fully became Human, thereby changing forever our world. How can Man find the Christ today? This is the mystery of our times. Additional Material. Augustine (345–410 AD) was a Manichaean for ten years but he lost faith with Manichaeism when Faustus, a leader of the sect, failed to resolve his doubts. Abandoning Manichaeism (see Confessions, Books IV and V), Augustine went to Rome where St. Ambrose, in 386, opened his eyes to the authority of the Church. Augustine then directed his literary work against the Manichaeans. For him, the lineage of the Church gave it authority to know the Scriptures from whence one’s faith originated. His dictum, “Better a man’s body be destroyed than his soul” leads to Crusades and Inquisitions. Augustine is credited as founder of Western monasticism.